TracFone Archives · Stop the Cap! 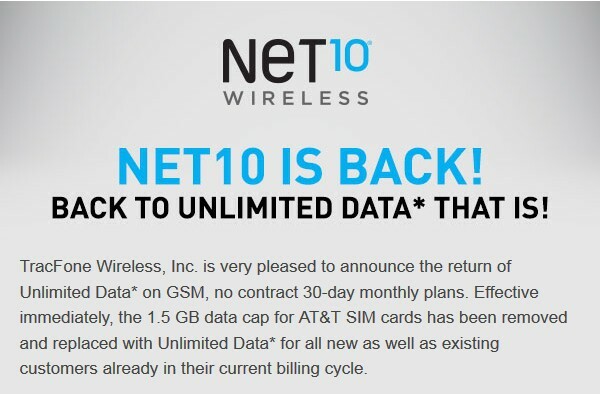 TracFone customers signed up for NET10 Wireless prepaid service are getting word in e-mail the 1.5GB monthly data cap on AT&T-based SIM cards introduced in March has been removed and unlimited data has returned. AT&T resells prepaid access to its 3G GSM network on gradually improving terms as AT&T’s postpaid, on-contract customers continue to abandon 3G in favor of AT&T’s 4G services. As 3G traffic loads diminish, AT&T is seeking to maximize return on its older network. Bringing back unlimited data service is expected to prove an attractive offering in the budget-minded prepaid marketplace. TracFone acts as a reseller of all four major carriers’ networks under different brands. Geography and the specific phone model chosen usually determines on which network the service will operate. Only customers with AT&T SIM cards in their phones (the first line of the SIM card ID number will end in “SIMC4”) qualify for the unlimited data offer, although tethering is prohibited, according to an e-mail being sent to registered customers. TracFone enacted a 1.5GB monthly usage cap for NET10 Wireless users back in March. But the cap never applied to TracFone’s Straight Talk customers. Straight Talk still offers unlimited data, but says streaming is not permitted. 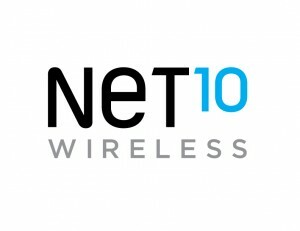 Along with the return of unlimited data, TracFone has discontinued its NET10 Wireless usage measurement portal, which informed customers about their monthly data usage. TracFone operates several prepaid calling plans under the brands TracFone, NET10 Wireless, Safelink Wireless, Straight Talk, Telcel América, and SIMPLE Mobile. TracFone is owned and operated by Mexico-based América Móvil.